Multiple islands pepper the surrounding waters of Palawan, and one of the most beautiful is Inaladelan Island Resort. 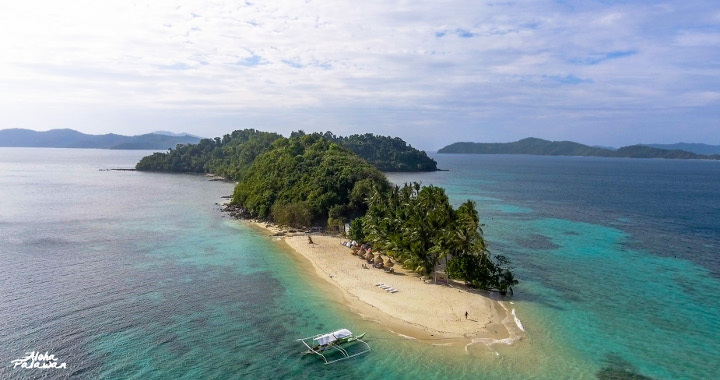 The resort is a private island owned and managed by Angela Tiatangco, a Palawan native who developed the island two years ago and built and designed its facilities with her team. The 12-hectare island boasts of crystal clear turquoise waters, fine white sand, and tall palm trees, which all spell out a perfect camping time. The resort only has four buildings: a bar made out of wood, a wooden pavilion, the staff mess hall, and the shower area. Everything else is a delightful interaction with nature, and we wouldn’t want it any other way.